As always, royals don’t waste time and spend it as productively as possible. Today, both Prince Harry and Meghan Markle are together at another important event. The couple has come to an exhibition that celebrates the life of Nelson Mandela and marks 100 years since he was born. The exhibition is jointly curated by the Apartheid Museum in South Africa, the British Anti-Apartheid Movement Archives, and the Southbank Centre. And it’s a great honor and duty for the couple to be a part of such an event. Again, Meghan Markle has decided to prove she has an impeccable taste. Her today’s outfit couldn’t be more trendy and fashionable. 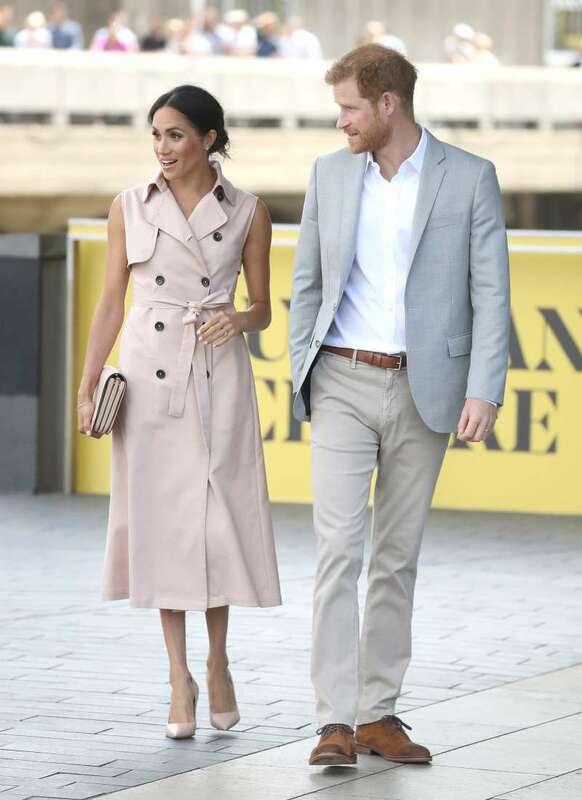 The Duchess of Sussex has appeared in a stylish creamy trench dress at the Nelson Mandela exhibition. The sleeveless trench coat dress had black double-breasted buttons down the front and a tie waist belt. The coat dress is a product of the House of Nonie, a brand based in Calgary, Canada. People who saw Meghan in that dress totally adored it. 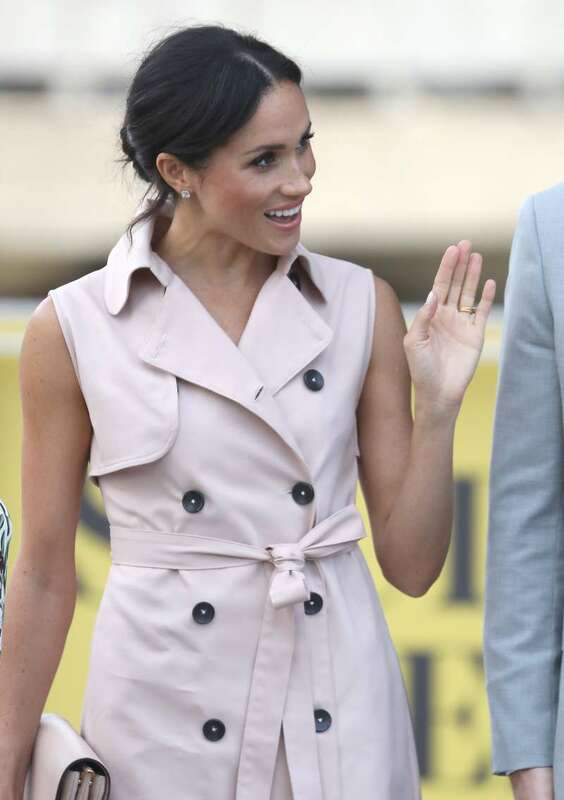 This color is her signature neutral pink, and people love such a choice of the duchess. Lots of them have approved of her choosing a Canadian designer. Love the trench dress and support of Canadian designer in the Commonwealth! 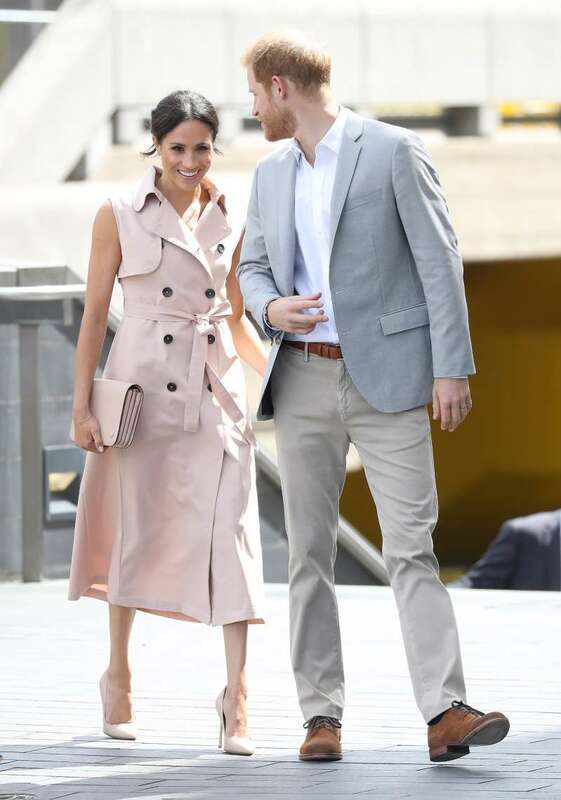 Duchess Meghan should also check out Canadian designer @MegShops!!! (For obvious reasons... and also her designs are elegant, functional, and made for every woman!~) Glad to see them out for this! Looking lovely duke and duchess. All in all, it’s a great practice with the royals to choose the designers from different countries. This way, they just expand the circle of their fans. In addition to that, it’s awesome the duchess always stays stylish and shows a great example to all women.